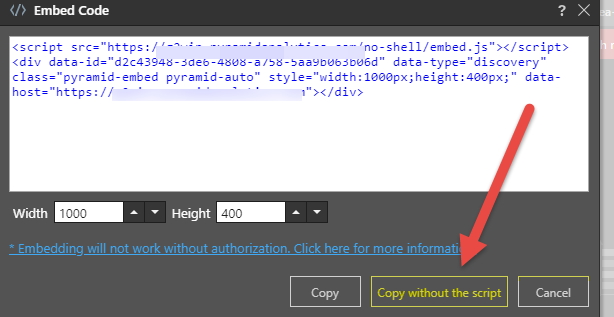 Below is a simple example of a web page that displays Pyramid content and authenticates to the Pyramid Embed API in order to create a cookie for authentication. You must have the embed add on included in your licence for the embed feature to work. Its important to note that the file you create should be saved as a html file and run from a web server.